Firstly, I have a confession. The puzzle genre is one of my favourites; I may well have collectively sank more hours into these games than any other. It’s a truly magical moment when you find a puzzler that is easy to understand, really enjoyable and has that “one more go” factor. That last one is the most important to me. Without it I tend to lose interest, and sometimes patience, very quickly indeed. But does Doodle God: Crime City tick all the necessary boxes? Well, kind of. Originally the Doodle God series started life as a mobile game, and has seen several ports and sequels since its inception around 8 years ago. Now though it is moving on to home consoles once more, this time in the form of Doodle God: Crime City, only on Xbox One. The game plays mainly as a puzzler, but does have a few splashes of point and click thrown into its formula. It works as an interactive story book; you progress, and have the story told to you, by combining components to create elements. For example, combining a “person” and “crime” would create a “criminal”. As you play you will begin to realise that combining different components may give the same results as before, and this is where the game starts to impress with its clever puzzle design. You cannot simply guess your way through, thinking about things logically will usually yield the result you are looking for. That said, occasionally guesswork will feel necessary and it’s always a good idea to try and combine the “explore” component with something to push things along. Sometimes, if you do things incorrectly, or in the wrong order, you will lose the scenario and have to start over. Make sure you have everything you need, and the combination seems sensible, before attempting to progress. There are two modes of play in Doodle God: Crime City. 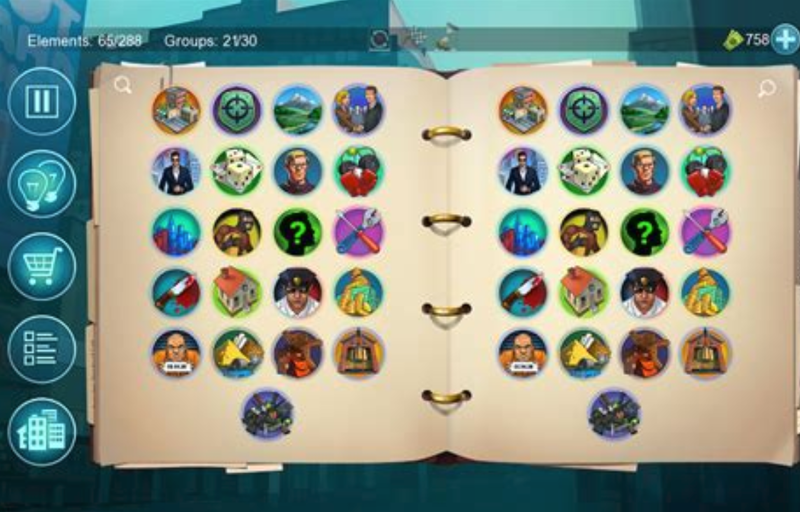 The first, “City”, is where you build the story by combining components, and can complete “Missions” which provide rewards for creating specific elements. “Mission” is a bit of an elaborate description, but they spice things up a little giving you more to aim for. “Campaign” has you playing on both sides of the law by completing specific scenarios, which provide a stricter framework for the gameplay than the more open “City” mode. As mentioned earlier, you may get stuck from time to time, however the game has thought of this, and help is at hand. “Hints” can be purchased to save you desperately trying to force things together to progress. You will start off with some hints free of charge, and can earn them in other ways. 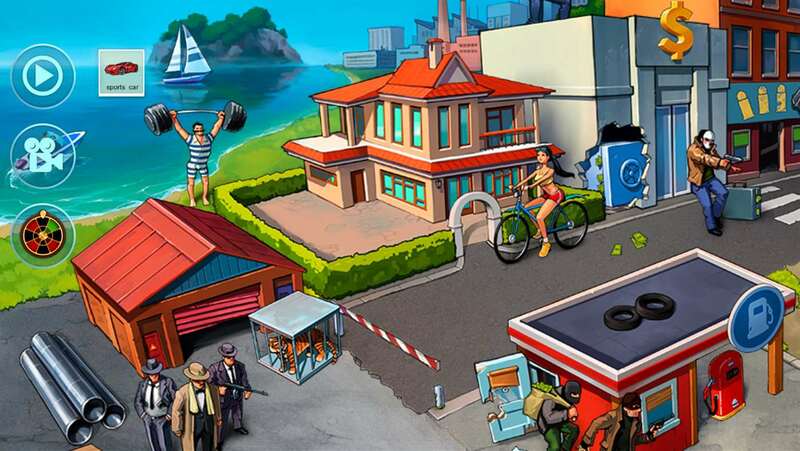 In “City” mode you can spin a wheel of chance every two hours where you can win hints and cash. There is also a daily bonus when you boot up the game which will also reward you with goodies if you play every day. This is a good way to keep players coming back and is something more commonly seen in “freemium” games (free to play games containing in-game purchases for real money). It’s this that perhaps signals Doodle God: Crime City is designed to be enjoyed for shorter, more regular periods. The game can be pretty confusing at first in terms of figuring out what to do and how to use all the options on screen. There is no tutorial or explanation; you are thrust straight into the action. Your components are categorised into pictured sub-menus, on the left and right side of your open notebook. Each side is exactly the same, so your components are duplicated in effect, to make matching more slick. The controls, once figured out, are fairly simple as you’d expect, as you are just navigating menus. The D-pad can be used to see the elements you have created and review your achievements, of which there are 14 to unlock. It is also used to access your hints, but these have buttons mapped to them which are quicker to use. Crime City’s cartoonish style is bold and colourful and does the job well. Characters in the game are well designed, giving them an individual and clear personality. Also, considering it loops every few minutes, the music is surprisingly tolerable and doesn’t annoy easily. My biggest issue with Doodle God: Crime City is that despite me liking the idea, the game didn’t quite manage to hook me. After a while, as it became more difficult to match the right components, I started to lose enthusiasm for the story and the gameplay began to feel repetitive. Nothing new comes along to mix things up in terms of how the puzzles work – what you do at the start is all you will be doing for the rest of the game. As well as this, the story is pretty basic. It’s just the run of the mill cops and robbers stuff. I know it’s a puzzle game, but a more punchy, interesting story wouldn’t have hurt things. 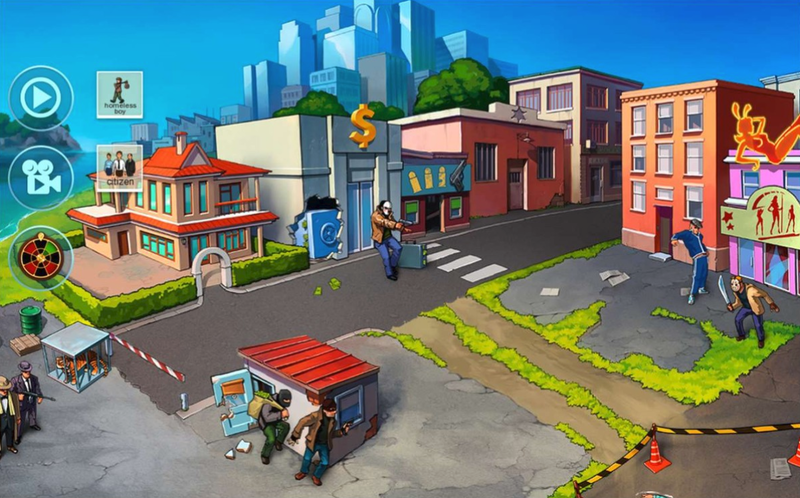 Overall, Doodle God: Crime City is a solid, enjoyable experience if played in short, regular bursts. However, it does lack the crucial “one more go” factor whilst doing little to develop things as you play through the game. This might be one best left to the puzzle enthusiasts.